I haven’t told my Mum I write romance fiction. I know that sounds bad, as if I’m ashamed. I’m not. It’s just that she’s my mum and she has opinions. Also she’s a champion gaslighter and there’s only so much stress a daughter can take. If I was to tell her, I think it would go much like this: She would so win. Me: I’ve been meaning to tell you something. I’ve written a book. Mum: What do you mean written? Me: You know, one word after another, a page of words, followed by more pages of words, that kind of a book. Me: It wasn’t a trick word. Yes. Me: Well, I wanted to see if I could. Mum: Why would you want to do that? Me: Good question. I’ve always wanted to. Me: Yes, I have. Remember I wrote plays in primary school. Mum: It’s a damn long way from primary school. You left it a bit late to start up again, didn’t you? Mum: What’s it about? Would I like it? Me: You wouldn’t like it. Mum: It’s not a stupid vampire thing, is it? It’s not about silly fairies? Mum: Is it a book with proper pages or a Kindle book? Me: It’s a Kindle book. Mum: Anyone can make one of those. John Hayes is doing one about his parents. Can’t imagine how boring that will be. I’ll probably have to buy it and pretend I’ve read it. Me: It’s not like that. Mum: But it’s not a real book. It’s like the book that Margie did on the family tree. Me: No, it’s not like that. That was photocopied with a staple in it. Mum: It was very good photocopying. How much did it cost you? Me: It didn’t cost me anything except time. Mum: John is paying a lot of money for his, like thousands. How did you do it for free? Yours can’t be any good. You should get advice from him. Me: I don’t even know who John is. Mum: You do. He used to own the hardware store, but it doesn’t matter. Me: Maybe one day I’ll write a print book. Mum: What? You’re still doing it? Mum: Don’t be daft. When did you do this thing? Me: It’s not a thing. I wrote a book. I wrote a few. Mum: A few, what do you mean a few? Mum: What on earth for? Me: I’m wondering that myself. Mum: Would I like any of them? Mum: Why didn’t you write a book I would like? Mum: Is it more of a textbook? Mum: That’s what I read. Mum: You don’t know anything about murders and investigations. Me: I don’t write about crime. Mum: But that’s what I read. Me: I didn’t write the books just for you. Mum: That was silly. At least you’d know one person would’ve bought them. You can read more real conversations with Mum at my website. 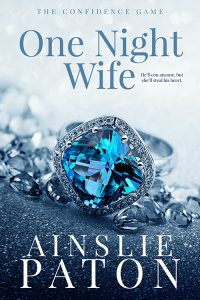 Check out Ainslie’s new release One Night Wife! That’s hilarious and I bet very accurate. 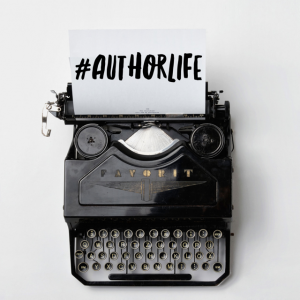 Not much different than my own mother’s reaction–she’s still waiting for me to write a ‘real’ book. If I could have gotten away with not telling her I would have. My blabbermouth husband thought keeping it secret was ridiculous and I let him talk me into the confession.